When approached to build this, our joiners worked very closely with the customer and worked to the inspiration that was provided. 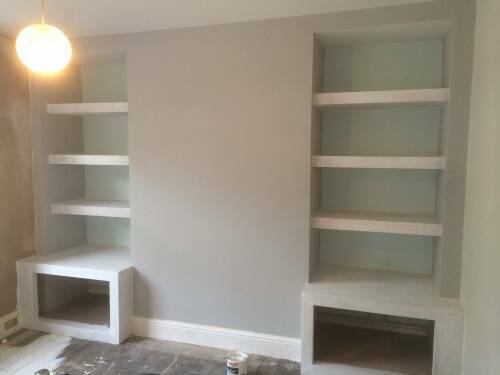 A full partition was built over the existing chimney breast to make sure there was ample depth to the shelves. 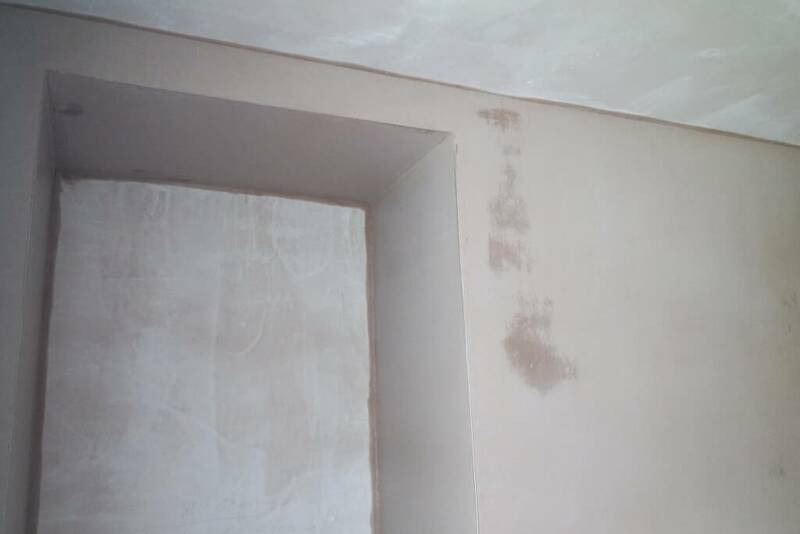 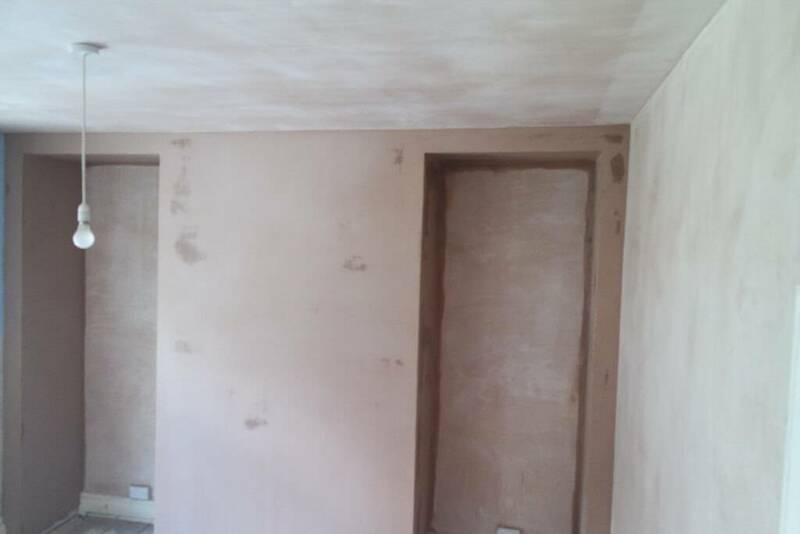 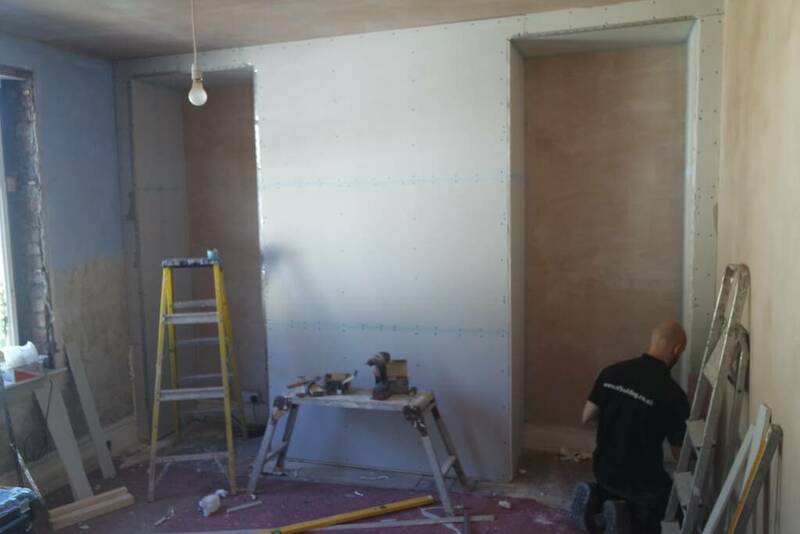 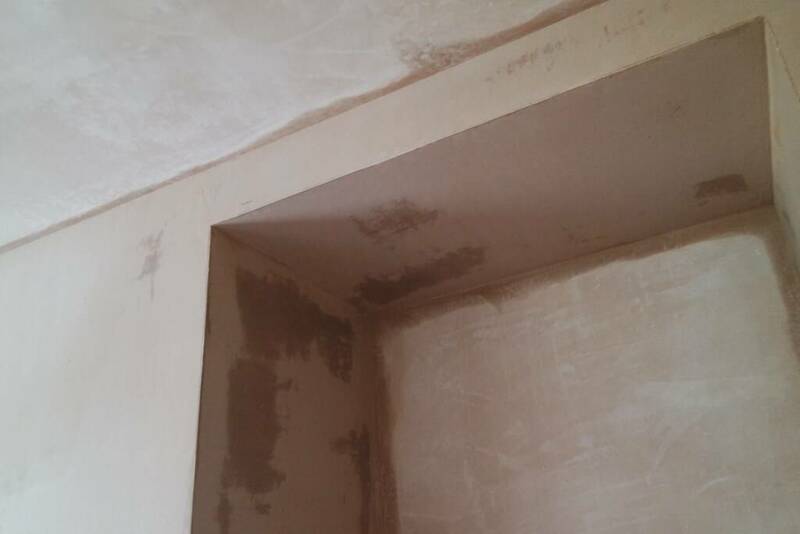 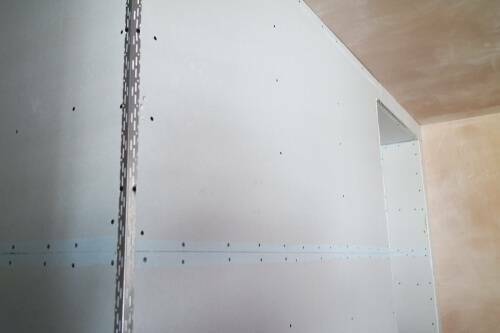 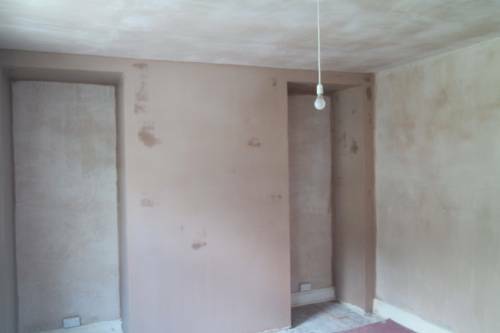 Firstly building a 3×2 frame and plaster boarding to create the shape them plastered to a smooth finish. 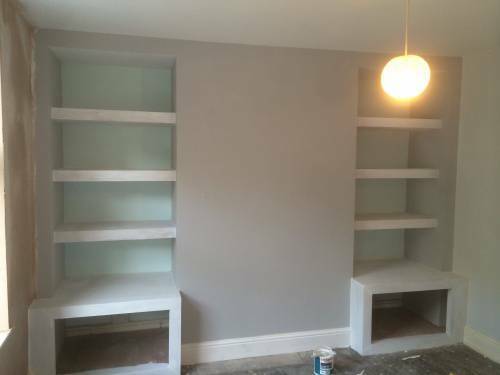 All the wood supports for the shelves were measured out and fit in the partition. 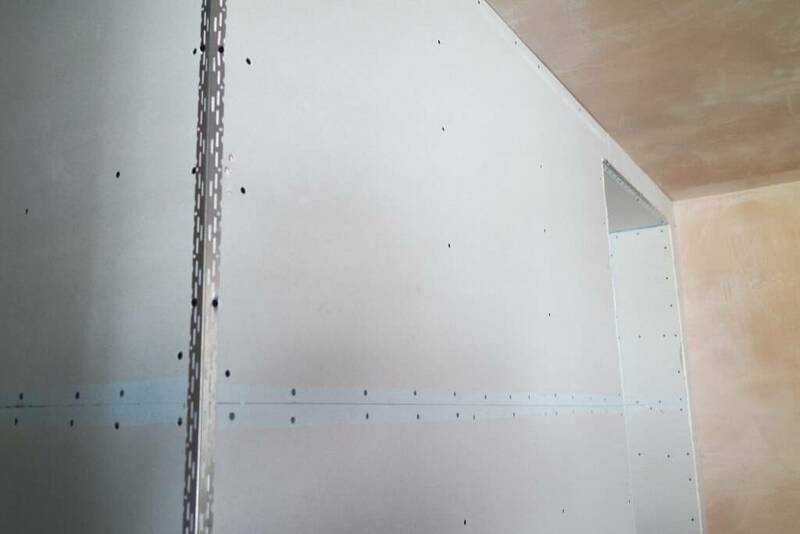 We could now start the joinery work, Building later frames and cladding them with hardwood ply, The base units there made to fit the bed in-between and shocker style doors fit for a modern look. 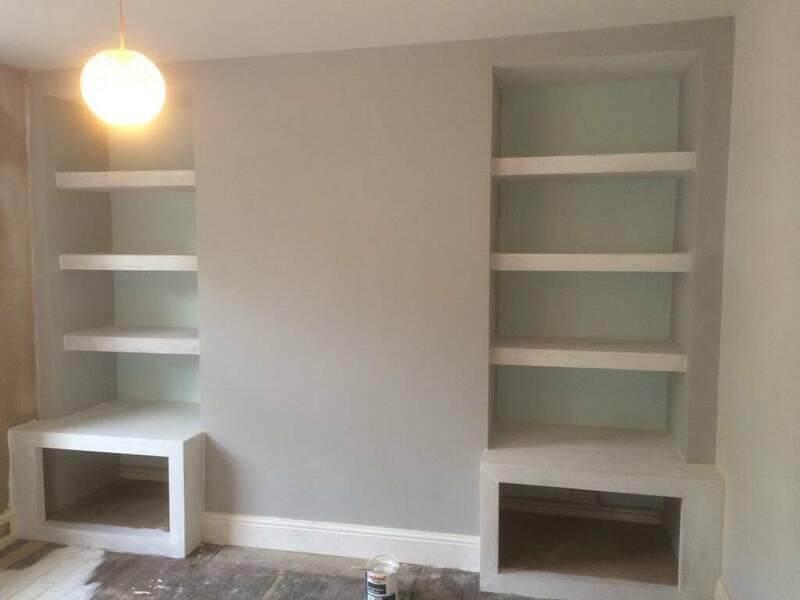 If you would like a chat to one of our joiners about bringing a idea to life then head over to our contacts page and drop us a email. 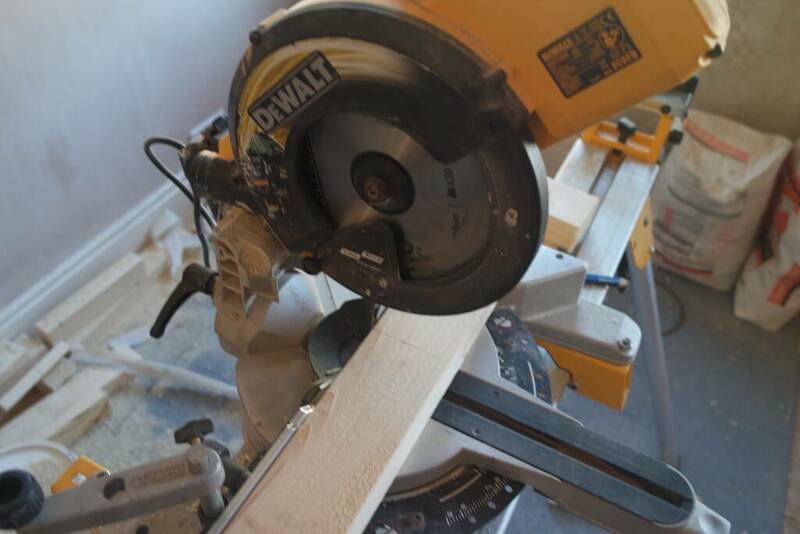 Take a look at our bespoke joinery page for a idea one what we can do for you.